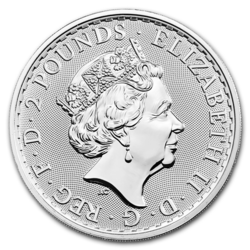 First minted in 1986, the American Silver Eagle is the world’s most popular bullion coin and the only official investment-grade silver coin issued by the US Government. The obverse features Adolph A. Weinman’s full-length figure of Liberty in full stride, draped in an American flag with her right hand extended; In her left hand, she holds branches of laurel and oak, symbolizing America’s civic and military greatness. 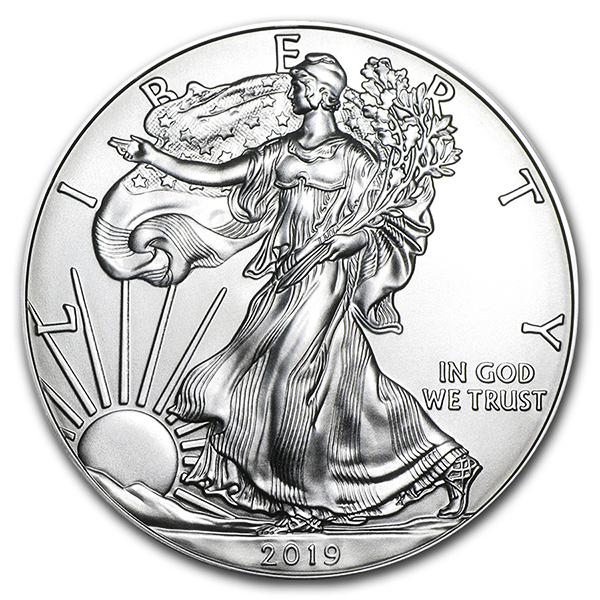 The word LIBERTY rounds the top half of the coin, 2019 the bottom, and IN GOD WE TRUST is situated to the right. 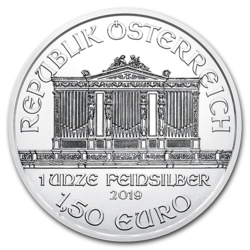 The reverse features a heraldic eagle with shield, an olive branch in the right talon and arrows in the left and topped by 13 five-pointed stars representing the original colonies. This reverse side is circled by the words UNITED STATES OF AMERICA, 1 OZ. 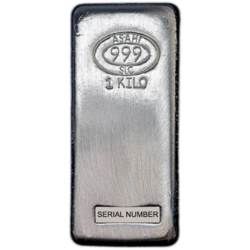 FINE SILVER ~ ONE DOLLAR. 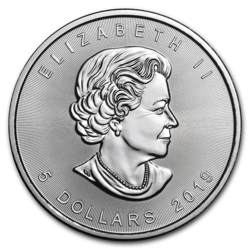 Each coin contains 1 troy ounce of .999 fine silver and bears no mintmark, meaning that the coin may have come out of either the San Francisco or West Point facilities. 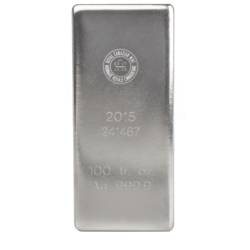 For over 225 years, the US Mint has been one of the premier producers of precious metal bullion coins on earth. 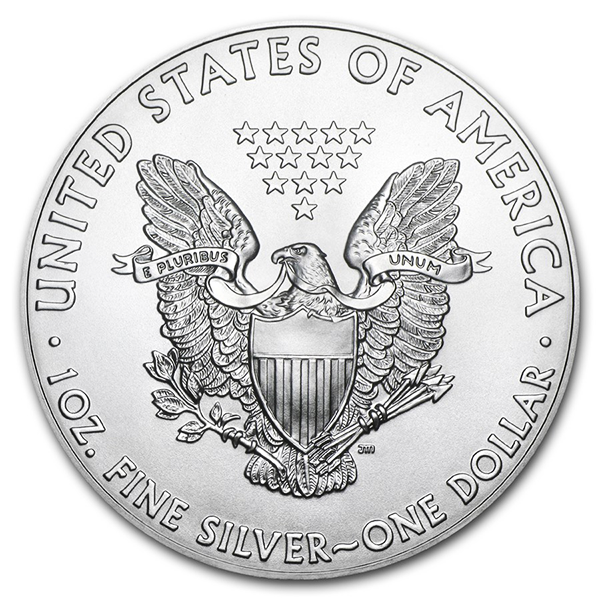 Silver Eagles are popular for their perfect blend of pure silver, timeless patriotic design, and low premium over spot price. 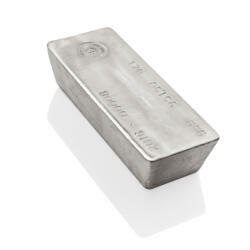 Don’t wait to add this symbol of the American spirit to your precious metals portfolio.